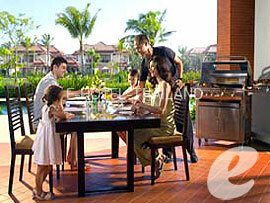 A family resort located in the northeastern part of Laguna. 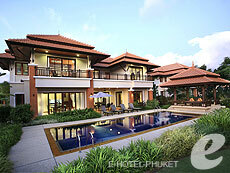 Outrigger Laguna Phuket Resort & Villas is located in the quiet area of Laguna Complex. The resort is only 20 minutes from the airport, and just 10 minute to the beach by free shuttle bus. 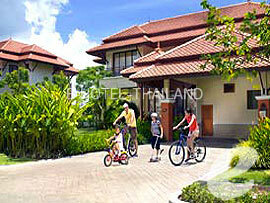 The rooms are very spacious, ranging from 1 Bedroom Suites to 4 Bedroom Pool Villas. Ideal for families and groups. Swimming Pool : One outdoor swimming pool with a children’s pool. Restaurant : Bites Café (International), Poolside Bar, etc. * A child/children 4-12 years sharing a room with adults without putting extra bed will be charged only breakfast fee of THB 350++/child. to Downtown : A 5-minute drive to the center of Laguna Complex.